Many times I am asked. “Which handheld GPS should I buy?” Although I am not a GPS expert, I have had a lot of experience using the handheld models. I’ve owned quite a few different models, and in doing so I’ve experienced some very good units, and, some poor ones. A list of what I feel are the best models are below. However, before you get to that list I want to give you an idea of how a GPS works, just in case you are a neophyte. Again, I am not a GPS expert. As a matter of fact, I will honestly admit that I am somewhat deficient in the “geek” gene pool. I learned how to use the units by trail and error, and by having a basic understanding of how a GPS works. However, because my of my love for American History, my journey to search for the lost eastern ghost towns, and my use of the GPS handheld units to find them, I've become a bit more of a nerd. So If I can learn to use a gps, then so can you. Because the Internet has so much information regarding how a GPS works, I will not spend a lot of time with the nerdy details. The Global Positioning System In A Nutshell, and Which Handheld GPS System To use. Spinning high overhead are 24 satellites. They are positioned at about 10,000 miles above us. Every 24 hours they orbit the earth. These satellites transmit a couple of signals. They are Mhz radio signals. No way am I going to attempt to explain what Mhz radio signals are. Just trust me on this! GPS receivers pick up the transmitted signals, or codes from the satellites. The receiver then measures the time it takes for the receiver to pick up the signal from the satellites. It can then determine coordinates of longitude and latitude. Still With Me? Piece of cake? Right? From the determination of that time measurement, the GPS receiver can approximate where on the earth surface those coordinates are. Ok my friend, that’s all of the explaining I will do about how a GPS works. Want more info? Check out this website also. Now I think is a good time to explain how I use a GPS to locate the eastern ghost towns that are no longer in existence. The first thing I do is to get the longitude and latitude of the area I am looking for. I do this by using a topographical map. If you don't own a GPS unit, then you are missing out on lots of fun. And if you are into metal detecting or treasure hunting like I am, then a GPS unit is a must need. Which one to buy, that's a choice you need to make. I have used 3 different gps systems, all worked well. 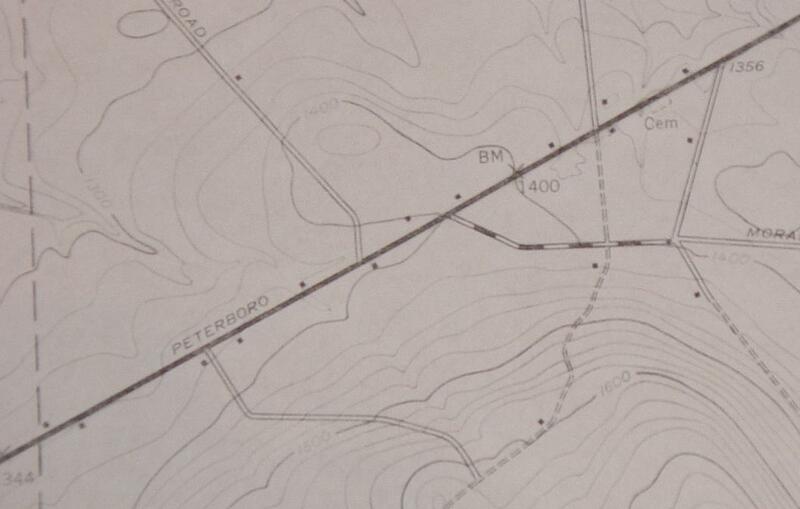 Now, if I know the general area of where the ghost town is located, assuming I have located the area on an old map, I then compare to the new topo to locate that same area. Many of the old maps I use to locate ghost towns do not have the longitude and latitude coordinates. Very simply, I enter both the longitude and the latitudes of where they intersect at the approximate location of the old town on the topo, and then plug those coordinates into the GPS. Once I do that I can drive to the area, using the coordinates to guide me. Which handheld GPS to buy should be based on the accuracy of the GPS. Most experts say that a good handheld will be accurate from within 60-100 feet. I find these estimates to be pretty reliable. Although there have been a few times when the actual locations of a given area have been greater than the 100 feet estimate. You can increase the accuracy of your readings by taking a few every 15 minutes. This again is nerdy stuff! So don't ask me why the readings work that way. You can find all the information you want on the Internet. Which handheld GPS you use to locate remote areas like these, the choices are many.